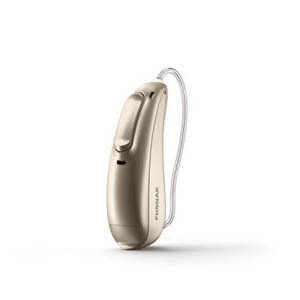 The Audeo Marvel 312 M50 Bluetooth hearing aid from Phonak has the standard level technology features that directly connect to any mobile phone including iPhones and Apple devices as well as Android smartphones and audio content gadgets. The featured technology streams the sounds to the hearing aids in both ears. The device has an adaptive environmental system AutoSense 3.0 and electronic solution for remote aftercare services.